The Echinoblog: Benthic Ctenophore Video Watch! This is one of those RARELY seen animals that I love sharing with people because they are SO strange. 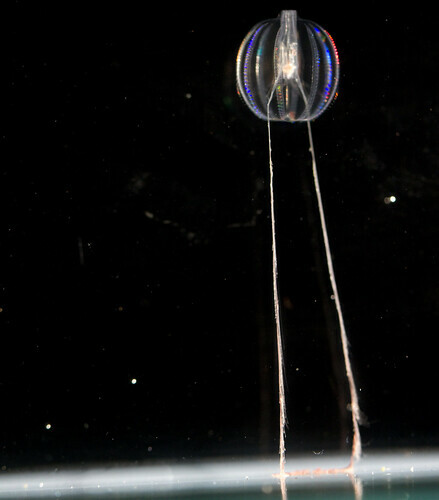 But there's one subgrouping of comb jellies that, for some odd reason, have taken to living on the sea bottom-sometimes on other animals, such as sea stars but also on sea urchins and corals. Its thought that these are commensal relationships. In other words, the ctenophores live at no apparent "cost" to the host. But relationships are poorly understood-so who knows? At the very least having THAT many ctenophores crawling around on your surface might clog up your papulae for respiration and so forth. The animals are those strange moving white blobs on the surface. 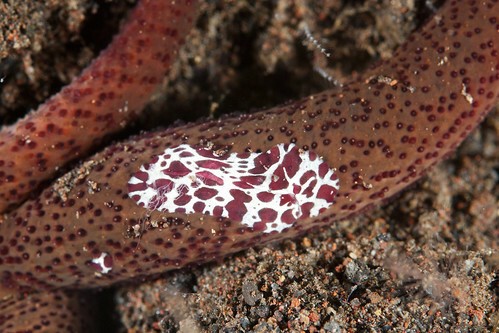 The ones living on the sea stars are in the genus Coeloplana. I'm not sure if the ones further down that are not living on sea stars are the same genus.. but I'm guessing probably not. Here's are more species from Japan!! These are SO cool, beautiful *and* weird, Chris! Learning about life like this (not to mention getting to see cool video of it) is what gets me out of bed in the morning. Thank you! Always great to hear from you Jen! Happy to hear from you..thanks for the kind words!